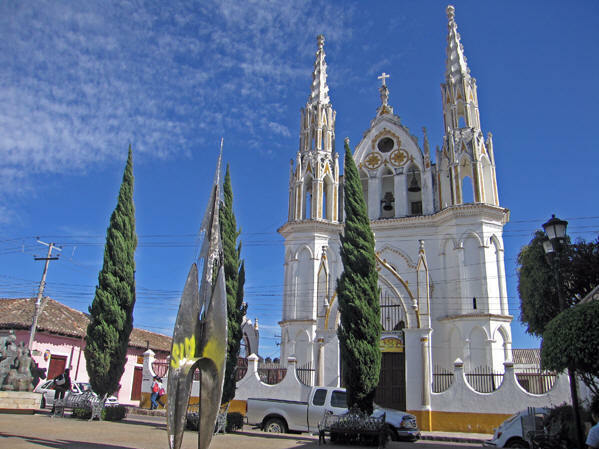 Comitan is located in the east-central part of Chiapas, near the border with Guatemala, 85 km from San Cristobal via federal highway 190. A popular tourist destination, we were unprepared for how fresh and pleasant this city of 85,000 was. 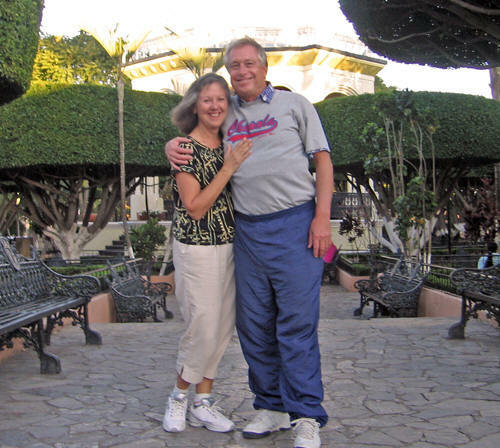 After a challenging beginning to our morning, we left our hotel room in captivating San Cristobal at about 9:30 am and caught a 20 Peso taxi to take us to the OCC bus station. We were all set to catch the 10:15 bus to Comitan, as was marked on the posted schedule. However, when we arrived, the man behind the ticket counter informed us that there WAS no 10:15 bus, so we bought 38 Peso tickets for the 11:30 bus instead. This meant we'd be waiting for 2 hours at the bus station to catch the first transport to our destination for the day. Not to be left as victims of circumstance, we kept our eyes open for other buses that may be going in our direction. Lo and behold, a bus coming from Mexico City arrives and the boys jump up to check to see if we can hop on to reach Comitan. In a flurry of activity, our tickets are exchanged and we ride the 85 kilometers to this fair little city. We drop the boys off here at the Main Plaza while my girlfriend and I go searching for rooms. This is the working routine we had developed over the weeks that we have been on the road for our 105 Day Adventure. Finding suitable rooms turned out to be a bit more difficult than we had expected, because most Mexican towns have a selection of hotels surrounding their Plaza. Here, we had to do some walking around, only to find some places closed, and others were too pricey or too dumpy for our tastes. 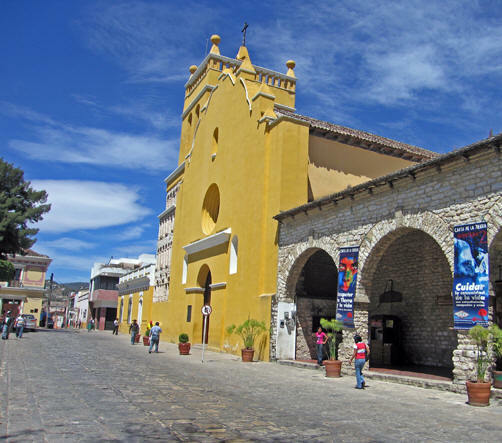 Beautiful stone work showcases the Iglesia de Santo Domingo and the Cultural Center. In the middle of our dissatisfaction, we are approached by a Tourist Police-sort-of-man who claims he has spoken to both of our husbands and wants to help us find a worthy hotel. Huh? Could this be so? It was either true or one of the best come-on lines either of us had heard in a while. After some hesitation, we decided to have this man show us around. 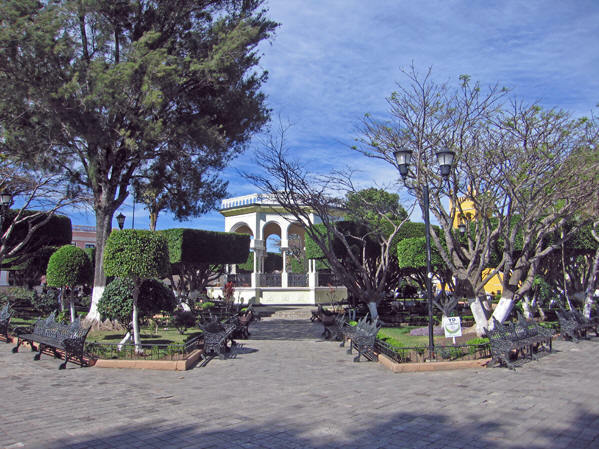 Clean and well-maintained, the Plaza had manicured gardens and artistically clipped foliage. Finding a hotel room that pleases 2 different women in the price range they are looking for and with a convenient location, firm beds, and glistening bathrooms has to be placed right up there with shopping for shoes. What pleases one doesn't please the other and we each have different requirements. Patience is a virtue, and this man was a saint. Maybe 6 hotels later we agree on a location and the Tourist Policeman was no worse for the wear. He even walked us back to the Plaza to meet our husbands! 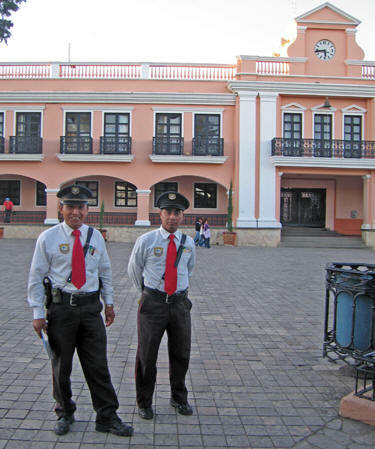 While these men look a bit intimidating to us at first, their #1 job is to help tourists find what they need. And in turn, they take a photo of us! 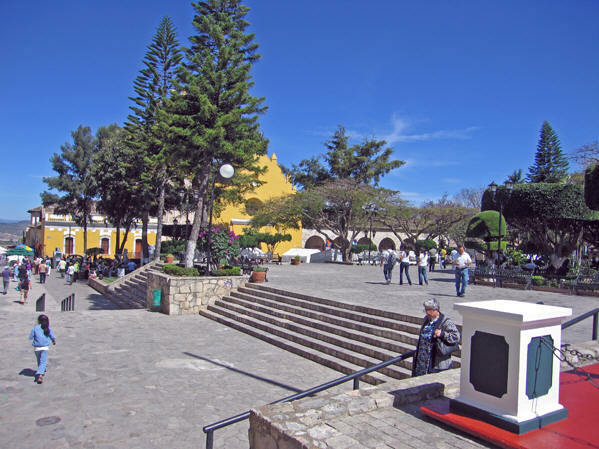 This city's full name is Comitan de Dominguez in recognition of the local doctor Belisario Dominguez, a national senator during the Mexican Revolution. Senator Dominguez vigorously protested political murders at the time, and became a victim himself. A tourist destination must offer a selection of restaurants with delicious food. 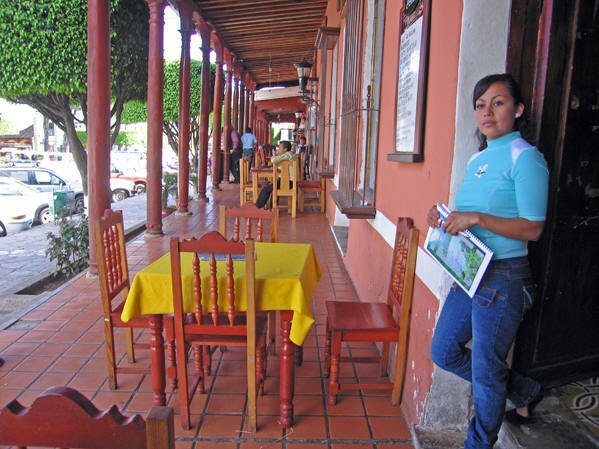 Comitan is no different, with various restaurants lining the Main Plaza. 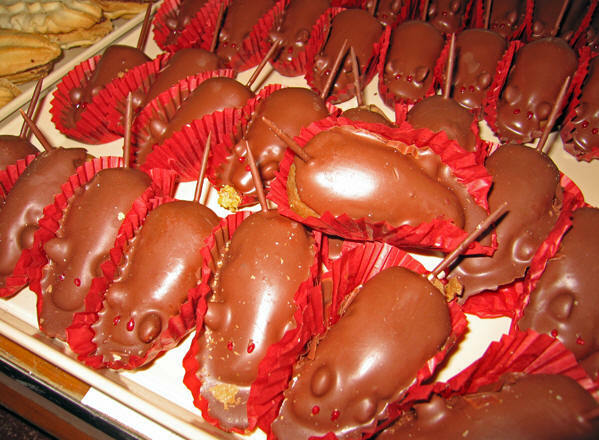 Mexicans have a great sense of humor, so making delicious pastries in the shape of this annoying rodent doesn't turn anyone away. In fact, we bought several of these chocolate covered, cream-filled sweets for a breakfast treat. They were outstanding! We found out that the entire Plaza is Wifi'ed. 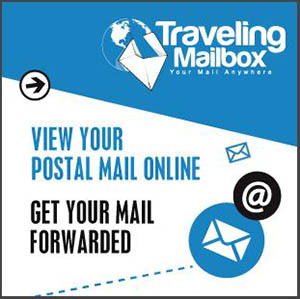 Here I am checking our mail and getting information on other future destinations. Wait a minute! What are these Chinese guys doing in Comitan? This was a real surprise for us. 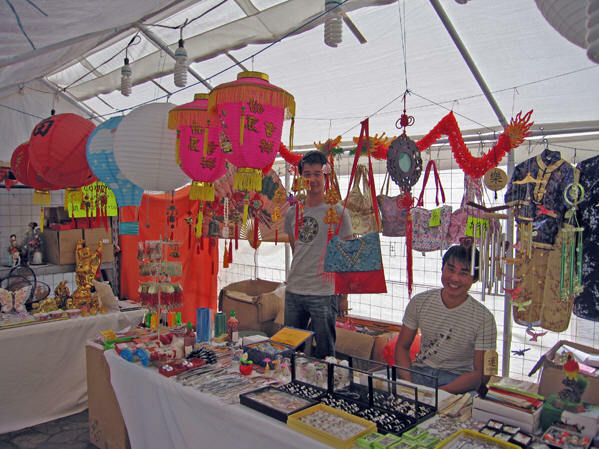 While walking around the Main Plaza later that afternoon, we come upon these two young men from China, selling jewelry, silks, Buddhas, bags, lanterns and incense. Most Chinese tourists we have met in our travels speak English as their second language, but for these men, we communicated in Spanish! Turns out that the man who is seated in the photo is a martial arts teacher - something highly prized in Mexico - and had recently injured his back. Selling these items was funding his stay until he recovered. 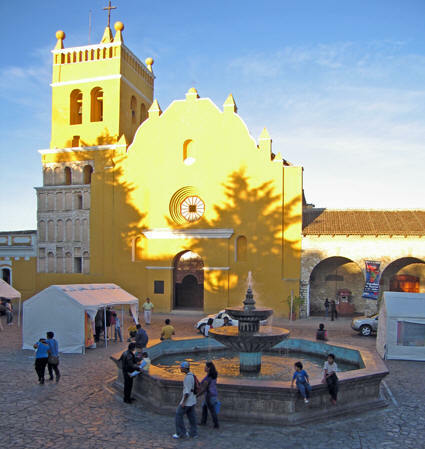 The setting sun makes La Iglesia de Santo Domingo come alive! These small tent structures serve as movable business locations, each with attractive items or music for sale. Can't miss an opportunity to taste the local cuisine! When a food stall is busy with smiling customers chomping their meal, you know that you have come across a good dinner choice. If this woman sold tasteless, unsanitary foodstuffs, she would have no repeat business. It's in everyone's interest to serve and purchase quality. 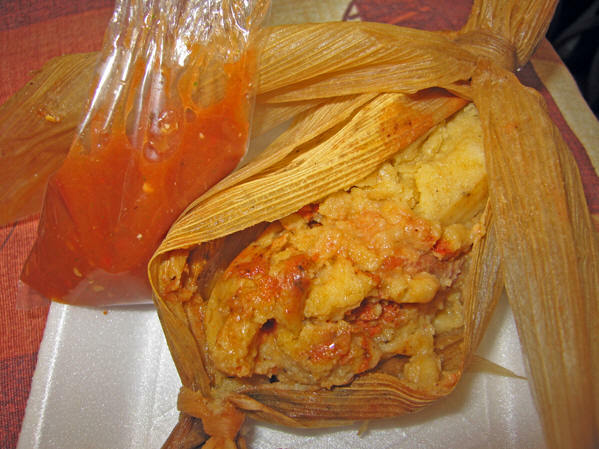 Fresh cornhusk-wrapped tamales with salsa! It can't get much better than this. As we have mentioned before, tamales are a multi-step, hours-long process to make, with soaking, boiling, draining, mashing, shredding, wrapping, and steaming. All to get this tasty, centuries old dish made by the Aztecs and served to the Spanish Conquistadores. 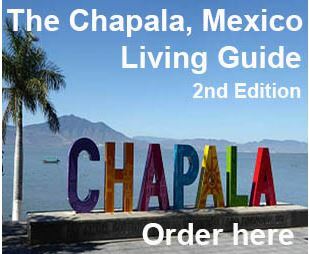 Each region of Mexico has their own special version and recipe - a culinary must to try! Our time in Comitan was far too short. Already we prepare to leave in the morning for.... Guatemala!! 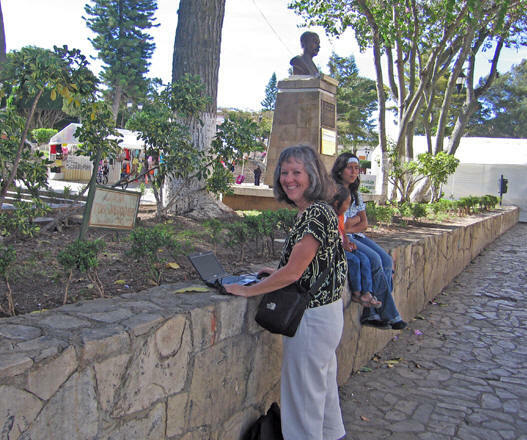 Our next stop is Huehuetenango, Guatemala, a mountainous Mayan city. 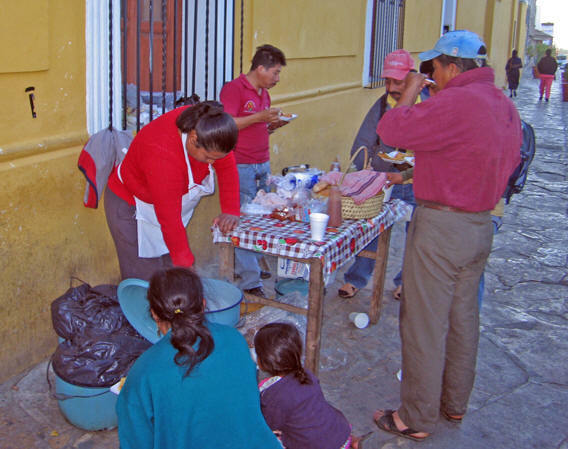 In Comitan we did not exchange Pesos into Quetzales, the currency of Guatemala and figured we'd use Pesos or Dollars when we arrived until we found a bank. In these times of currency changes it can be confusing in many ways. Generally we utilize ATM's to get local currency when we arrive. If you plan on returning to Mexico after your Guatemalan trip, save the cash you have so you don't lose in the exchange. Traveling south down the Pacific coast of Mexico is a must adventure for any traveler. Our style is to go slow and if we like a place, we stay longer, ‘getting local’ as soon as possible. This means we scout out where the neighbors shop, the restaurants they frequent and we make friends along the way with store owners, the maids, and anyone who lives in town. 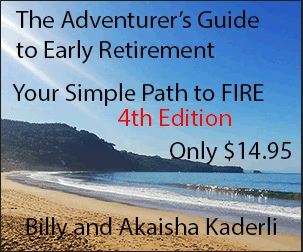 These people know where the best prices and value can be found – it’s certainly not where the tourists shop.